It's TIHATL, Summer Reading Club edition! Summer Reading Club is in full swing in Canadian libraries. In more than 2,100 libraries around Canada, kids are earning prizes and recognition for reading. Thanks to Toronto Public Library and a certain sponsoring bank, we all have lots of free stuff to give away. still going strong after almost 15 years. Our motives are simple: kids who read during the summer do better in school in September. SRC also helps remind parents of pre-readers to read with their little ones daily. Our children's library is very busy. The first day of SRC, we signed up 180 kids! After two weeks, we're well over 600 participants. When kids register, or when they come in to "report" and collect prizes, it's a great time for some one-on-one conversations with our young customers. Some won't say one word without their parents' prompting, but others are so forthright and articulate! It's really a pleasure chatting with them. What have I heard? 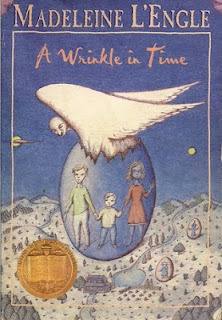 "My favourite books are the ones where things happen, and you know, you don't know what's going to happen, and you think things won't happen, and then they do happen!" "I love reading about space, and planets, and the universe. I'm going to be an astronaut and go to Mars -- when I'm six!" This boy was amazing. At not yet six years old, he knew so much about astronomy! And he wasn't just regurgitating facts without engaging, as you sometimes see with kids who are on the autism spectrum. This boy was relaxed and social, and had clearly synthesized what he had read. We had a great conversation about his impending Mars visit. His mom and I looked at each other in amazement. Two sisters wanted to read about... it sounded like churchills. "Miss, can we bring our churchills to the library?" "I'm not getting it. Can you say that again?" "Our CHURCHILLS! Can we bring our CHURCHILLS to the library?!!" Finally I am forced to admit, "I don't know what that is." "They are little animals, they have a shell, and their little arms and legs and head sticks out of the shell, and when they're afraid, they can go inside it. We have two baby churchills and we want to bring them to the library!" I try not to laugh. They are hearing the word from their parents, who are new English speakers. "Yes, yes, tur-tills!" Without missing a beat, they now begin to pronounce the world tur-till with great enunciation. "I don't think your turtles would be very happy at the library." "We would help them! We would show them all the books!" "But you know what, all the kids would want to see the turtles and pet them, there would be a huge crowd, and I think the turtles might be afraid." They nod with great seriousness. I ask, "Would you like to read some books about turtles?" "Yes yes yes yes yes!!!" "Do you want to read stories with characters who are turtles, like Franklin, or information about turtles?" "Information! Information about tur-tills! Tur-till information!" The book on having a turtle as a pet is nowhere to be found, but we find lots of books about turtles in the wild. I try to shield them from books about endangered sea turtles, but they are too fast for me. Fortunately, they are only looking at the pictures, so they're not bothered by the sad stuff. "Tur-tills! Tur-tills! Mommy Mommy we have books about tur-tills!!" "100! No, 500! No, one thousand! No, three. Three books." 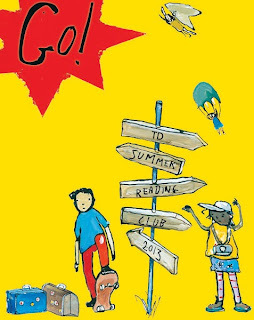 For graphic fiction (which kids call comic books), girls are still looking for anything by Raina Telgemeier, especially her new adaptation of The Baby-Sitters Club. Everyone is still reading Amulet. This year's kids have not heard of Bone, but I can talk them into trying it. This is especially great because, being slightly out of fashion, Bone is easy to find. The graphic hybrids are hugely popular: Geronimo Stilton and related spinoffs, Big Nate, Captain Underpants, Dog Man (this year's runaway hit), and the seemingly eternal Diary of a Wimpy Kid. I often steer girls to Marissa Moss' Amelia's Notebook series, which predates Dork Diaries and is way better. If you phrase the question, "Do you like funny books, scary books, adventures, mysteries...?" the number one answer, by a huge margin, is funny. Scholastic has the results of a survey about what kids and parents look for in books. The best answer I heard in a long time was: "I like books with words and pictures! I'm very particular about what I read." The Golden Compass, by Philip Pullman, has been on my to-read list since it was first published in the mid-1990s. Although I generally don't read fantasy fiction, after reading an outstanding review in The New York Times Book Review, I was very intrigued. Thanks to the Teen Book Club I facilitate at the library, I recently had an excuse to read it: The Golden Compass (published as Northern Lights in the UK) is our March title. This is an absolutely wonderful book. 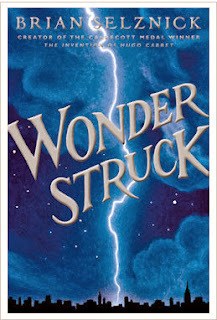 Lyra Belacqua, a smart, spunky 11-year-old girl, is wholly believeable as our powerful, but very human, hero. She lives in a world recognizable to us, but different - a parallel universe which unfolds naturally, without the ponderous world-building that I find so tedious in more typical adult fantasy fiction. 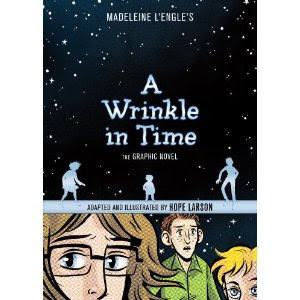 The book is chock-full of adventure, mystery, and action, with just the right touch of thoughtful reflection thrown in. It's an excellent youth or tween read, which is to say it's fast-paced, written in a clear and straightforward style, and with the darker, scarier, and potentially violent material handled with discretion and a gentle touch. There is sadness and loss and frightening elements, as there should be, but there's nothing graphic. The Golden Compass is sometimes called a youth novel, but it lives on the younger side of that spectrum, perfect for a 10- or 11-year-old who is a good reader. Why, then, is it catalogued in the adult section of our library? I can only speculate that it might have been a response to "challenges" - meaning controversy and calls for banning or limiting access in the library. 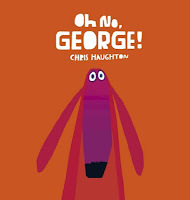 To an adult reader, the reason for the challenges - though silly, in my view - are obvious. On the surface The Golden Compass is a straightforward fantasy-adventure, but on another level it can be read as a critique of The Church. The book is certainly not anti-religion or anti-spirituality, but it is a harsh condemnation of the institutional Church - the Church of the Inquisition, the Church of intolerance, and most of all, the Church that has harbored and protected known pedophiles for centuries, allowing countless children's lives to be shattered. There are other aspects to which some Christian readers might object: our hero is herself identified with Christ imagery. But I believe the principal objections would focus on a negative portrayal of the institution of organized religion. Some critics see Pullman's His Dark Materials trilogy (The Golden Compass is book one) as a response to C. S. Lewis' The Narnia Chronicles, with its clearly Christian underpinnings. Not being a reader of fantasy, and never having read Narnia (I read and enjoyed The Lion, the Witch and the Wardrobe as a child, but stopped there), I can't comment on these critiques. There are many comparisons online, but most focus on film adaptations - not a reliable way to critique a book! The 2007 movie adaptation of The Golden Compass was greeted with articles like "The Chronicles of Atheism" and "The Golden Compass: A Primer on Atheism". This is nonsense, of course. I'm pretty sure anyone who says the movie version of The Golden Compass is about atheism hasn't seen it. For this, I'll turn to the late, great Roger Ebert's review of the movie. One of the better pieces I've found on this subject was by Jenn Northington, writing on Tor.com, for Banned Books Week 2013. One could argue that while the disdain for organized religion and bureaucracy registers in Pullman’s books as well as in his interviews, it doesn’t prevent them from containing all kinds of mystical elements. There are witches with super powers, embodied souls in the form of daemons, a trip to the underworld. One could further say that they promote a sense of spirituality and a belief in the possibility of things beyond our comprehension. There’s a word for that; some call it faith. This argument, of course, is unlikely to hold weight with anyone who objects to the series. In matters of taste there can be no dispute, and each reader finds something different in a book. 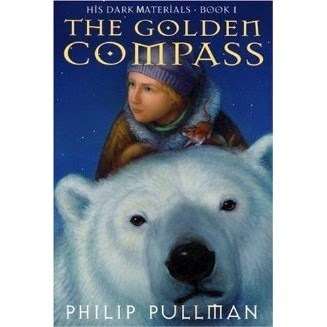 If The Golden Compass works equally well as a great children's read, and a response to a famous fantasy series, and a critique of a social institution, that is quite a feat, and Pullman deserves huge recognition for pulling it off. The symbolic meanings are there for discussion and debate, but the solid base of the book is vivid, highly accessible, and simply excellent. the so-called "y.a. debate" rages on, but doesn't a debate have two sides? In June of this year, Slate ran a now-infamous piece called "Against YA," in which Ruth Graham argued that adults shouldn't read young-adult fiction, and should be embarrassed if they do. A flood of posts and essays were written in response; my own response is here. In the short term, as far as I can tell, not a single writer agreed with Graham. Despite this lopsided showing, some headline writer (possibly here) dubbed this "The Great Y.A. Debate," and the name stuck. There must be people out there who agree with Graham - surely hers was not an original idea - but one cranky article does not a debate make. I did find a few interesting essays that used Graham's piece as a springboard to unpack some interesting ideas and cultural trends. A. O. Scott, in The New York Times Magazine, is one reader who found himself agreeing with Graham, and asking himself why. Scott's The Death of Adulthood in American Culture joins the crowded field of "things ain't what they used to be" stories, gazing fondly back on a time when a cultural elite drew a very bright line between "high" and "low" culture, a line that, if it still exists, is too blurry to locate and carries little cultural currency. Scott, however, reflects on his nostalgia and acknowledges its curmudgeonly (and sexist, exclusionary) nature. 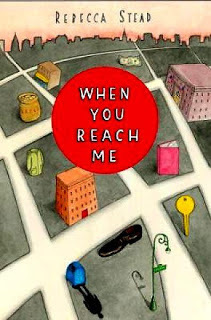 It's a nicely ambivalent essay... and it has very little to do with youth fiction. In Henry James and the Great Y.A. Debate, Christopher Beha, writing in The New Yorker, uses the same so-called debate to muse on the state of the novel, how literature from different eras reflect entirely different worldviews, and why the work of Henry James is still, in Beha's view, relevant to the contemporary reader. It's a good piece, worth reading, and again, none of its ideas are stated or implied in Graham's essay in Slate. Beha offers this comments on A. O. Scott's piece. This is where the essay becomes a little confused, in my opinion. If we really are living through the decline of the cultural authority of the straight white male, that seems like a rich and appropriate subject for a sophisticated work of narrative art. The fact that we find this decline represented on television seems in this sense a sign of cultural maturity, one that cuts against the idea that our culture reflects an “essentially juvenile vision of the world.” Many shows now grapple more honestly with the world as it actually exists than did the sitcoms that I grew up watching, in which mom and dad had all the answers and were waiting in the wings to save us from our mistakes. The strong ambivalence running throughout Scott’s piece emerges from the fact that he sees an intimate, even necessary connection between the decline of the straight white male’s stranglehold on the culture as a whole (which he views as all to the good) and the rise to dominance of a juvenile strain within popular culture in particular (which he likes a lot less). But even assuming that both of these things are going on, it’s not at all clear how much they have to do with one another. There is a difference between art that merely enacts a culture’s refusal to grow up—say, a Y.A. fantasy turned summer blockbuster marketed at adults—and art that engages thoughtfully with that refusal. The New Yorker also pointed to a 2008 article by Jill Lepore (one of my favourite writers in that magazine's circle), illustrating the long history of self-appointed reading gatekeepers. This one was a librarian who was horrified by E. B. White's Stuart Little. And not just any librarian: it was Anne Carroll Moore, who invented the idea of the children's library. Great reading: The Lion and the Mouse. Throughout, I am left wondering if anyone on the "against" side of "Against Y.A." has read any youth fiction other than The Fault in Our Stars or The Hunger Games and has read any children's fiction other than Harry Potter. Often I'm left wondering if they've read even those, or merely read about them. These essays are all worth reading... as are many youth novels. I'm always amazed how when personal upheaval strikes, whether tragedy or happy Big Life Change, your world shrinks down to a tiny little circle. We moved to Canada the day Hurricane Katrina struck, and days later, we were struggling to take in all we had missed. Since the flood four nights ago, the outside world has barely registered on my radar. So, what has happened to the Laura and Allan Family since I posted those lovely sewage-filled photos? The flood was Monday night. The Greater Toronto Area received a month's worth of rainfall in the span of a few hours. Water and sewage rushed in through the toilet in our basement, then rushed out again, leaving behind a disgusting mess. We lost many items stashed in the basement, like suitcases, a vacuum, painting supplies, and whatever else. But much more importantly, Allan's office is in the basement. He salvaged many things... and lost many things. We will get an insurance settlement, but many things are irreplaceable. Power was restored in Mississauga late Monday night or Tuesday morning. Once we had phone service, it was nearly impossible to get through to insurance companies, and if you did manage to file a claim, no one was available to follow up on it. Cleaning and restoration companies were similarly either impossible to reach or fully booked. We had no hot water. I worked at home on Tuesday, trying to move our claim forward, while Allan carried boxes of books from the basement to the spare bedroom on the second floor. With my broken foot, I could do little but urge him on. When I went into the library for work on Tuesday night, I felt like I was dreaming. How could all these people just be going about their business, enjoying a normal day? On Wednesday we expected a cleaning crew, a new hot water heater, and follow-up from our insurance company. None of those materialized. So another day went by with no progress, and no hot water. Well, that's not accurate. Something was making quite a lot of progress: the mould growing in the soggy basement. On Thursday morning I was beginning to lose patience. As usual, our landlord was trying to do things on the cheap - fine for him, he had hot water - and I had to get ready for work by heating water on the stove and washing up in the kitchen sink. At the same time, I was getting an enormous runaround from our insurance company, being passed from one person to another to another, and back to the beginning again. Our claim had fallen into some kind of black hole. I informed Cheapo Landlord that he should ask his insurance company about putting us in a hotel until the hot water was restored and the basement was clean. When he couldn't reach his insurance company and he managed to restore hot water himself, he thought he could talk me into staying: "Just open the windows." 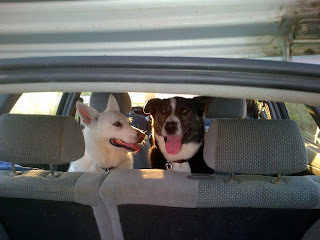 I found a pet-friendly Holiday Inn in Mississauga, we packed a few things, threw the dogs in the car, and hit the road. We were a little beyond open windows at that point. So last night we had lovely hot showers and clean air and a bottle of wine in our room at the Holiday Inn. This morning Allan dropped me at work, and when he picked me up, the flood restoration people were at work in the basement. I was able to sit on our patio but unable to stay inside for more than a few moments: instant headache. We're at the hotel again tonight, but I'm hoping tomorrow night we'll be home. "Yay, we're in the car!" It turns out our own renters insurance covers "additional living expenses" associated with whatever event caused the claim. That could include child care, kennelling an animal, restaurants, and of course, hotels. I'm a little disappointed that we can't give the bill to our landlord! But it's great to know our insurance will pick this up. This is our second flood. After the first one, we endured a long, drawn-out renovation, but that wasn't motivation enough to leave. But this time is so much worse. How could we ever be comfortable here again? Every time it rains, we'll be nervous. The whole point of renting is not to be tied down to property. So I'm looking at rentals online, and we've already seen two places. It's sad, because we love our little house and our huge backyard, and we are very unlikely to see the likes of them again. Yards are way smaller and houses way bigger, generally. But I remind myself that when we had to leave our little house in Port Credit (because the landlord wanted it back), I was so upset... and it turned out to be a wonderful move, with many benefits. Perhaps the next place will have much to recommend it. It's also a very bad time for a move, with Allan facing a September 1 deadline for his manuscript. Right before we moved to Canada, I was offered an exciting and lucrative writing project. (Some of you may remember "Ancient Civs".) I remember Allan saying, "You have to take this. How can you not? I'll do all the packing." And he did. He got quotes from movers, organized the move, and packed every single thing we owned, while I wrote full-time and worked my day job on weekends. Now I will do the same. I can't physically pack us, but I will hire people to do so, and organize everything, and Allan will not work on our move, and he will meet his deadline. Through all this, I've had an unexpectedly wonderful oasis from stress: work. Go figure! On Thursday morning, still without hot water, I left the house feeling grumpy and irritable. I joined one of my Children's Library teammates for a presentation at "Literacy Camp" (a/k/a summer school). We had two groups of kids, one younger, one older; all have been identified as struggling readers. For the younger kids, we started with a song, read a story, did a talk about the library, read another story, plugged Summer Reading Club, and ended with another song. 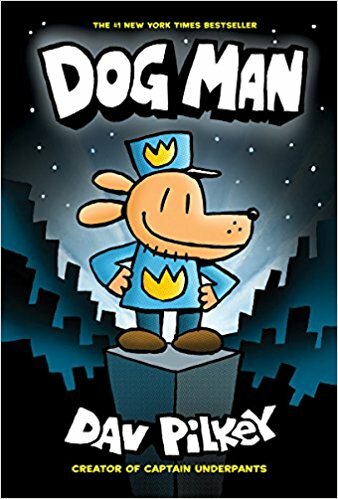 For the older kids, we substituted "book talks" for the stories, reading a chapter from a funny book plus a scary story, did our library talk, and our summer reading club talk. Both groups were fully engaged and seemed to love it. I left feeling great: happy, energized, laughing, with a great feeling of satisfaction. My irritable mood had vanished. All week, my shifts at the reference desk and even in my office preparing for upcoming programming have been a wonderful respite from the stress of the upheaval at home. 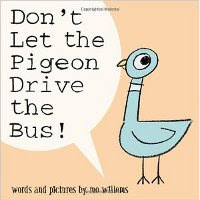 If you're keeping score at home, for the younger kids, I read Mo Willems' Don't Let the Pigeon Drive the Bus, a huge hit with the kids yelling "NO!" over and over. (Got to looove the Pigeon!) My teammate read Robert Munsch's Down the Drain, a more complicated but also very goofy story, with the kids making sound effects and hand motions. 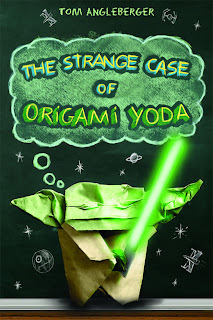 For the older kids, I read a portion of The Strange Case of Origami Yoda by Tom Angelberger, and my teammate read one of Alvin Schwartz's scary stories. I also did a riff on the Guinness Book of World Records, and a plug for nonfiction along the lines of "we've got books on whatever you're interested in". In this post, I look at two nonfiction books for young readers. Both are featured in the current "Forest of Reading" program, a province-wide recreational reading program sponsored by the Ontario Library Association. Both fiction and nonfiction winners of the various Forest of Reading awards - Silver Birch, Red Maple, and so on - are featured in public and school libraries throughout the province. In other words, lots of kids will read these books. And that is a very good thing. This beautiful book introduces young readers to some fascinating creatures and their unique habitat. The Sea Wolves begins with the many cultural myths and fears about wolves, then dispels those misconceptions with facts about these beautiful, intelligent, highly social animals. The book examines a unique sub-species of wolf that lives in the rainforest on Canada's Pacific coast. Smaller and thinner than the gray wolf, the sea wolf can swim like an otter, and fishes for salmon like a bear! The sea wolves are also unique among wolves in that they have never been hunted. The First Nations people of the area have lived side-by-side with wolves for thousands of years; their culture holds wolves in a position of respect and admiration. The book also describes the wonders of the Great Bear Rainforest, an isolated wilderness now threatened by plans for the tarsands pipeline. 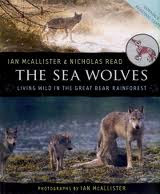 A lot of information is packed into this short book, richly paired with Ian McAllister's stunning photographs of the sea wolves and the rainforest. (McAllister and Read's earlier book about the Great Bear Rainforest, The Salmon Bears, was also a Forest of Reading selection.) The book is truly a love-letter to wolves and to the Canadian rainforest. Although The Sea Wolves makes a strong case for conservation and preservation, and does mention that the wolves' future is uncertain and the rainforest is threatened, it stops short of endorsing activism. One never knows about the politics behind the scenes - if the authors had wanted to make the activism piece stronger, but were prevented from doing so - but a short piece of "What you can do to help" would have been better than merely giving a website where interested readers can get more information. This is a beautiful book, both visually attractive and extremely well written. It has the potential to propel many young readers towards a fascination with wolves, the sea wolf, and one of our continent's last bit of wilderness. Talking to children about cruelty is always tricky. I've written about, for example, being traumatized by learning about the Holocaust as a child in Hebrew school, and by seeing certain details of animal abuse on a documentary. Children need to see the world as it is, but a sensitive child can be overwhelmed by the view. In No Shelter Here, a book about animal abuse and injustice, Rob Laidlaw has found the perfect approach. The book alternates between problem and solution, first showing us an arena of maltreatment - such as puppy mills, research, or dogs kept alone and chained - then introducing us to "Dog Champions," actual young people who have taken action. For every injustice, there is a real person fighting for justice, and suggestions on how a young reader can get involved. In this way, the book is not merely informative and depressing, it is motivating and empowering. Young people from all over the world are spotlighted as Dog Champions, each with photos, a short story of how they got started, the actions they chose, and their accomplishments. 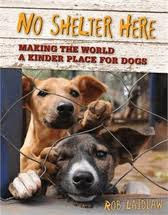 At the end of the book, readers are invited to take The Dog Lover's Pledge, and to visit animal-welfare websites. No Shelter Here is full of photographs of imploring brown eyes and dogs in need of champions, but the photos are not shocking or explicit. There are also plenty of photos of Dog Champions at work, and joyful, healthy dogs who have been championed. As one reviewer put it, the issues are "addressed frankly but gently". 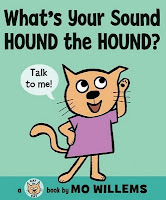 Animal-loving children will find this book disturbing, but they are likely to motivated to educate others, and to become part of the solution. In this children's book review, I look at a book about military war resistance and analyze its lessons and conclusions. 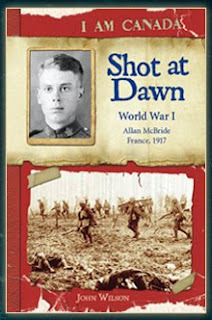 Shot at Dawn deals with many unpleasant realities of war - including some shameful episodes in Canada's past - with open eyes and without sugar coating. Ultimately, the author pulls his punch, forcing a conclusion that is palatable to mainstream sensibilities. At the same time, though, the book insists on difficult questions without clear-cut answers. So while it doesn't square with my own views, neither does it satisfy pro-military or nationalist propaganda. I add this book to my ongoing exploration of war and war resistance. I recently compared some children's historical fiction that I read as a child, such as the Laura Ingalls Wilder Little House series, with more contemporary books in the same genre. I was dismayed to find that most children's historical fiction is marketed to girls. For example, Scholastic's Dear Canada series, for girls, includes 31 books. 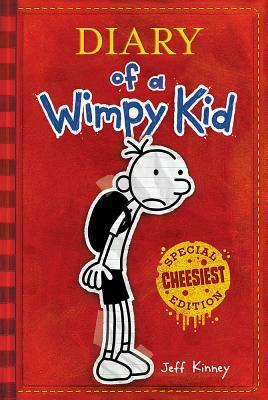 The I Am Canada series, for boys, comprises only six books. Theoretically, a child of either gender can read any book. But in reality, it would be a very unusual boy in unusual circumstances who would knowingly choose a "girl book". At the age children read these books, stereotyped gender roles are strictly enforced through the most effective methods: their peers. If a book is marketed as "girly," you can be sure that most boys won't go near it. Adding to my displeasure, of the six books in the I Am Canada series, four are about war. (One is about the Titanic, and another deals with the building of the trans-Canadian railroad, told in the voice of a Chinese labourer.) But I had reason to hope: one of the war books appeared to be - perhaps - about war resistance. This fictional, historically-based story of war propaganda, PTSD, and resistance to war is set during the only time it possibly could be: the Great War in Europe, what we now call World War I. World War I is usually the setting for treatments of these issues, both because of its utter brutality and senselessness, and because it is distant enough from the present to allow frank criticism in the mainstream. In the fictional diary, one Allan McBride, Canadian, is eager to volunteer to do his patriotic duty, be part of the action, go kill some Huns. Against his parents' wishes, young Allan enlists, following (he thinks) in the footsteps of a friend and mentor he deeply admires. In France, Allan gets a sudden dose of reality. He witnesses gruesome wounds worse than death, and sees the arbitrary and decidedly unheroic nature of death all around him. He experiences the rush and exhilaration of battle, but the author paints an appropriately grim picture of the trenches - the desolation of No Man's Land, the nauseating smells, the casual horrors. He also learns about war's class system - how the enlisted man, the common soldier, is mistreated, and expendable, while the officers are pampered and protected. He learns about war profiteering, and I credit the author, John Wilson, with this unsparing view of just how government always "supports the troops". Part of young Allan McBride's education is his introduction to a war resister, a radical who preaches resistance. This character is presented ambiguously: it's up to Allan McBride and the reader to decide what to make of him. But the words the man speaks are unambiguous and strong. "But a short while back you also called me a coward. Now that's a serious thing. "I've seen 'brave' men with chests full of medals reduced to gibbering wrecks by days of shelling or the sight of their best friend's brains smeared along the wall of a trench. Are they cowards?" "Of course they're not. They've just been pushed beyond what any sane man can stand. "I've been down the coal mines at Cumberland and Extension on Vancouver Island, where it's so gassy that a careless spark can create a wall of fire that'll incinerate fifty men before they even have a chance to run. By the Somme River I've seen sixteen-year-old boys walk forward until machine-gun bullets stitched a neat line of holes across their chests. I've heard wounded men in no man's land scream insanely for two days before they died. I've seen men drown in mud holes at Arras when six of their friends weren't strong enough to pull them out. I've felt the last breath of a young German soldier on my cheek while I struggled to pull my bayonet out of his chest." Sommerfield paused for a long minute, still holding me with his stare. Around us the other men stood in a silence I had only ever heard in church. Eventually, Sommerfield continued. "I've felt fear so intense that I was paralyzed and I've wept uncontrollably at some of the things I've seen and done, but have I run away? No. After every horror I buried my comrades, picked up my rifle and fought on like a good soldier. So, yes, I am a coward. I'm a coward because through all of that I went on doing what the stupid generals wanted. I never stood up and said, 'No!' I never screamed, 'Enough!' I never shot the officer who ordered another thousand young men to go over the top, knowing that half of them would be dead an hour later." Confusion overwhelmed me now. What was this man talking about? His list of horrors had nothing to do with bravery, honour and fighting for your country. Did it? Before I could think of anything to say, an Australian in the crowd shouted, "But you did run away, Harry." Sommerfield turned his stare on the man who had spoken, releasing me. "Some would say that," he murmured. "Others might say I'm simply fighting a different war. I'm taking as much of a chance coming here as any I took in the front lines. Only difference is, if I'm caught now, it's my own side that'll shoot me, not the Germans." "You're a deserter," I said with sudden realization. "That's what some would call me." Sommerfield turned back to look at me. "I've also been called a Socialist, a traitor, a conspirator and a rabble-rouser. I prefer to think of myself as a sheep who has seen the light and no longer wants to be led unprotesting to the slaughterhouse." Deserter or victim? The army shoots you either way. Eventually, Allan McBride suffers "shell shock," what we now call post-traumatic stress disorder, what I hope one day we will finally acknowledge is the normal, human response to the insanity of war. He wanders away from his unit, believing he is walking home to Canada. He meets a band of deserters, led by the same Sommerfield, who help him recover. Sommerfield speaks bluntly about their predicament. "Only one choice as far as I can see," Sommerfield said. "Nothing's going to stop the Germans. As soon as they reach the coast, Britain and France are going to have to make peace. "Oh, there'll be lots of shouting and a big peace conference. Some money and some land will change hands and everyone will try and claim that they did well out of it. There'll be a few years for everyone to lick their wounds and build up their armies." He spat into the fire. "And then it'll all happen again." "But that means that we'll have fought for four years for nothing." "For the average man it always was for nothing. What did you or I ever stand to gain from this war? If we were lucky, we'd stay alive. The only people who profit from war are the businessmen who make the guns, shells, bombs, uniforms and all the rest of the paraphernalia an army needs. They're making fortunes and you don't see a single one of them risking his life in the mud. The worker — whether he's British, French, Canadian, German or, now, American — is fighting to put money in some fat slug's pocket in London, Paris, Toronto or Berlin." "Like the bloody Ross rifle," Pete muttered. Sommerfield caught my questioning look and said, "You weren't out here at the beginning, but the Canadians in 1915 and '16 were given Ross rifles instead of the British Enfields. The government wanted the contract to go to a Canadian company so their cronies could profit. Trouble was, the rifle didn't work. It jammed when the least bit of dirt got in it, the bayonet tended to fall off and, if you weren't really careful assembling it, the bolt flew back and took the side of your head off when you fired it. Everyone hated it. At Ypres in 1915, the first thing you did when you got out of the trench was find a dead Brit and take his rifle. "Canadian boys died because of the Ross rifle, but would the government stop issuing it? No. Good old Sir Charles Ross was making a packet and he had friends in high places. What did it matter if the rifle was killing a few young soldiers? Eventually, General Haig had to order the Canadians to issue us with Enfields." If Sommerfield had told me this story last summer, I'd have shouted him down as a liar. Now I was angry, but my anger was at Ross and the others, not Sommerfield. So our hero has grown. His experiences have changed him. Where there was once only flag-waving patriotism and utter disdain for dissent, there is now a painful and confusing doubt. All the while, McBride suffers from nightmares, outbursts of anger, episodes of confusion. Eventually, Allan McBride comes to a crossroad. He can either take off with Sommerfield and make his way back to Canada, lying about his circumstances but likely saving his life. Or he can return to his unit, where he will probably face a firing squad. Both sides of Allan McBride's dilemma are presented. But this is a children's book, and our hero cannot knowingly desert his duty. He cannot hold fake identification documents and stow away on a steamer ship to Canada. He must do the honourable, dutiful thing: he must face the consequences of his actions and return to his unit. How are we to make this credible? How many people will knowingly walk to their deaths - not in the heat of battle, and not to save someone else, but calmly and with consideration, choose an unjust death for principles like patriotic duty? The only way this ending can be justified - meaning, the only way it won't look like a crazy deus ex machina decision - is to discredit the road not taken. Allan is torn between two opposites, the classic two-father-figure scenario: his commander, who is his friend and mentor from home, and Harry Sommerfield, the rabble-rouser. 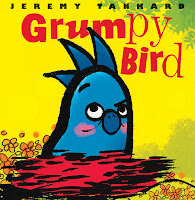 The author pushes his character into the right choice by discrediting Sommerfield, who is suddenly motivated purely by self interest. Of course, some political operatives are primarily self-interested, but nothing in Sommerfield's character up to this point has hinted that he is anything but a charismatic true believer. Suddenly he is transformed into an entirely selfish, manipulative opportunist. So Allan McBride is freed from Sommerfield's spell, and can return to his unit - where he is immediately incarcerated and scheduled for execution. Allan's commander (who is also his friend and mentor from home) pulls some strings, gets the execution stayed, and gets Allan treatment. The famous army hospital at Craiglockhart War Hospital, where Dr. Rivers has been breaking new ground with his humane treatment of "shell shock" (portrayed in Pat Barker's excellent book Regeneration, based on the memoirs of Siegfried Sassoon), is available only to officers. But somehow Dr. Rivers will treat Allan privately. It's a fairy tale ending, tacked on to a story that is anything but a fairy tale. And yet, as someone who wrote for kids, I acknowledge that is likely the only choice available to the author. (I can't speak for the author; perhaps this is exactly the ending he wanted.) Our hero can't very well be shot for desertion. And no mainstream publisher wants a book where the hero deserts and sneaks back to his country with faked papers. So I get it. But I don't like it. But more importantly, Shot At Dawn shows a reality of war that is often not available to young people - not only war's brutality, but its inherent injustice. And through the character of Harry Sommerfield, strong ideas of pacifism and socialism are spoken alongside the more familiar words of nationalism. The book is perfect for advancing classroom discussions or for writing assignments asking children what they think Allan should have done, or what they would do, and why.